We would particularly like to thank all the Marshals, Officials and helpers who made the event such an enjoyable day for everyone. Apart from some delays due to army movements and an accident, the event ran beautifully, and we really couldn't have done it without you. Thank you all so much. 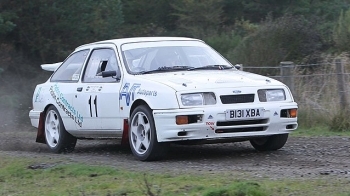 The event was once again a round in the REIS MSA Asphalt Rally, the AS Performance North of England Tarmac Rally, the Brick and Steel Ecosse Challenge, a round of the 710 OIL ANCC Northern Stage Rally Championship, the Borders Rally and the SG Petch ANECCC championships. Competitors on the UTS Cheviot Keith Knox Stages Rally were tackling a very compact event this year. The high amount of military activity on the Otterburn Ranges, which has already been responsible for the change of date to Sunday 10th October, also had a positive effect on the proposed route. Although they were restricted purely to the Eastern side of the Ranges, the organisers came up with an event containing some 88 miles of special stages, with less than five road miles! The short public road sections in turn kept the Road Traffic Act insurance down to just Â£15 per car and the entry fee was a total of Â£325. This figure included the provision of numbers and it was also decreed that the recce fee element would be donated to the â€˜Help for Heroesâ€™ charity. 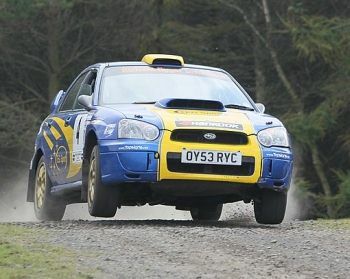 Highlights from the 2010 Cheviot Keith Knox Stages. to whom all applications for accreditation must be addressed.